Parrot Anafi vs DJI Spark: Which Drone is Better for You? Many people are comparing the new Parrot Anafi to the DJI Mavic Air, but is the DJI Spark a better comparison? If you are trying to get the best bang for the buck, might the $399 Spark be a better deal than the $699 Anafi? Let’s take a closer look. Let’s take a closer look at how the Anafi stacks up against the DJI Spark. 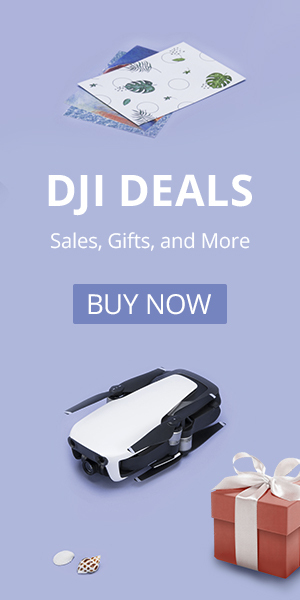 How does the Mavic Air compare to the Parrot Anafi? Find out here. Measurements are approximate and prices are subject to change. The Anafi can capture 4K at 30 fps and 1080p at 60fps and 1080p at 120 fps. The Anafi has a 21 MP and is capable of HDR with a maximum bitrate of 100 Mbps. The Anafi camera is also capable of lossless digital zoom of up to 2.8X. The Spark’s camera is solid, but on paper, it can’t keep up with the Anafi. The best the Spark can do is 1080p at 30 fps. A lot of people dog on the Spark camera but it really is pretty darn nice if you are OK with 1080 video. It may not have the specs that some of the other more expensive drones do, but we have even used it for real estate photography. Not convinced that it is really a good camera at under $400? Check out the video below. The Anafi relies on a two-axis gimbal combined with electronic image stabilization in all three axesto allow for smooth video. The Spark also uses a two-axis gimbal. Many people don’t realize this but the Spark also utilizes electronic image stabilization as well, but only in the yaw axis. Typically electronic image stabilization degrades the quality of the video by cropping out pixels, but the 21 MP camera of the Anafi ensures there there are plenty of pixles for stabilization (and even digital zoom) without sacrificing quality. The Anafi is the first drone we have seen with the ability to look up a full 90 degrees. Th look-up capability allows for shots that the Spark or really any other drone just can’t capture. In fact, the Spark annoyingly can’t even look down a full 90-degrees. The limited look-up angle and roll angle of the Spark gimbal also mean it flys crawls through the air unless you are in the un-stabilized Sport mode. We don’t expect the Anafi to have the same speed limitations as the Spark. Purists might scoff at only a two-axis gimbal, but Parrot has done their R & D for sure. Both of these drones are compact and portable but only the Anafi has folding arms. The Anafi is long and skinny when folded. The Anafi is slightly heavier (0.71 lb vs. 0.66 lb for the Spark) but neither drone is heavy with both of them weighing less than one pound. You can get 6 flights with just 3 batteries and a remote when you take the portable charging station with you. It is our favorite accessory and helps make the Spark even more portable. The Anafi has a handful of interesting new flight modes including Smart Dronies, Hyperlapse, and Orbit, but the most exciting mode is probably the Dolly Zoom option. This will allow the user to get unique smooth Hollywood style footage. The Anafi will also fly using waypoints, as well as track and follow. In addition to these flight modes, the Anafi will add 3D mapping as well. Check out our video, we walk through the Anafi flight modes in detail. The Dolly Zoom is an exciting feature of the Parrot Anafi. The Mavic Air has Rocket, Dronie and Helix, which go along with the Active Track Modes. You won’t be able to use waypoints or do 3D mapping unless you are using 3rd party software on the Spark. We find the Spark’s modes to be very limiting as most of them rely on the unreliable DJI ActiveTrack to maintain a lock on the subject of interest. We expect DJI to unlock som new flight modes for the Spark in response to the release of the Anafi. The Anafi has a maximum flight time of 25 minutes, whereas the Spark tops out at only 16. Nine minutes may not be a lot, but it can be enough to make a big difference. The Anafi doubles the range of the Spark, with a range of 4000 meters to the Sparks 2000 meters. They are both solid drones. If you want to get something unique with the ability to take shots that no other drone can get then pick up the Parrot Anafi. 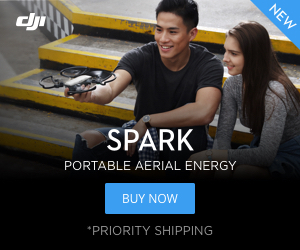 If you want something that can take awesome pictures and videos for $300 less than the Anafi then you want the Spark. Whichever one you choose will be the right answer. They are both excellent drones.